The provincial government of Liaoning Province had fled west to Chinchow. 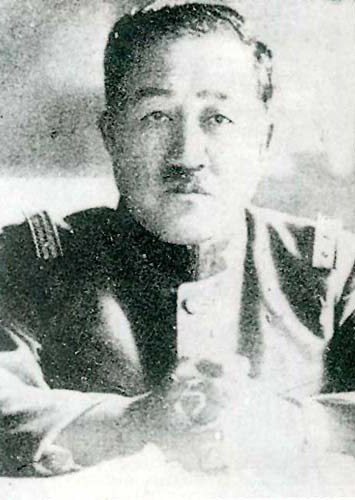 Governor Zang Shiyi remained in Mukden, but refused to cooperate with the Japanese in establishing a separatist and collaborationist government and was imprisoned. The Kwantung Army issued a proclamation on 21 September 1931 installing Colonel Kenji Doihara as Mayor of Mukden; he proceeded to rule the city with the aid of a so-called "Emergency Committee" composed mostly of Japanese. On 23 September 1931, Lieutenant General Xi Qia of the Kirin Army, was invited by the Japanese to form a provisional government for Kirin Province. In Kirin, the Japanese succeeded in achieving a bloodless occupation of the capital. General Xi Qia issued a proclamation on 30 September, declaring the province independent of the Republic of China under protection of the Japanese Army. Kwantung Army Colonel Seishiro Itagaki and Lieutenant Colonel Kanji Ishiwara, who had been looking for the excuse to occupy Manchuria for Japan, devised a plan to invade Manchuria. Ishiwara presented the plan at the Imperial General Headquarters in Tokyo, and it was approved to be launched but only following a major incident started by the Chinese. IGHQ had little or no idea that Itagaki and Ishiwara was about to embark on instigating such an incident. Originally, they enlisted the help of Colonel Kenji Doihara to worsen Sino-Japanese relations, but Doihara was recalled by Tokyo for his undiplomatic conduct.